Three more days until we're all back in Death Valley with 80,000 of our closest friends. Whoo hoo! We're counting down the days to the first home game with a week-long celebration of awesome giveaways. You are going to love today's giveaway prizes - yup, prizes...two to be exact. Meet State Your Team - an upstart Etsy shop run by the husband and wife team of Shannon and Scott Brooks of Dalton, GA. State Your Team is a "labor of love" side project from their regular nine-to-fives. We featured State Your Team in one of our recent posts about Clemson treasure hunt finds on Etsy. State Your Team soon contacted us and wanted to offer our readers a discount code AND a giveaway! Of course we said yes! Through the month of September, State Your Team is offering Clemson fans FREE SHIPPING on all of their products by using coupon code IPTAY12. This is a great offer! 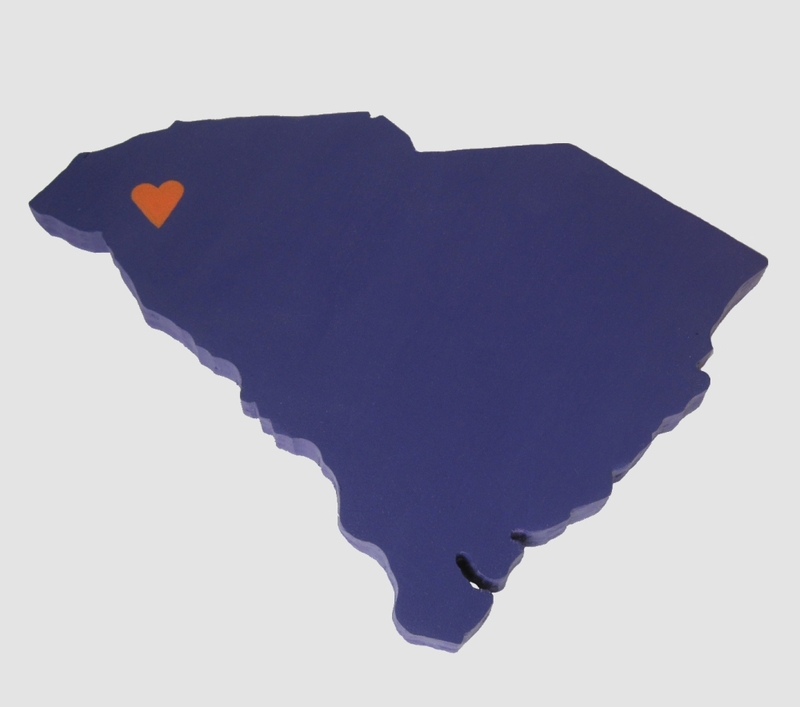 Also, one lucky Clemson Girl has the chance to win the Clemson Tigers "State Heart" Wall Art and the Clemson Tigers “State Heart” Magnet. 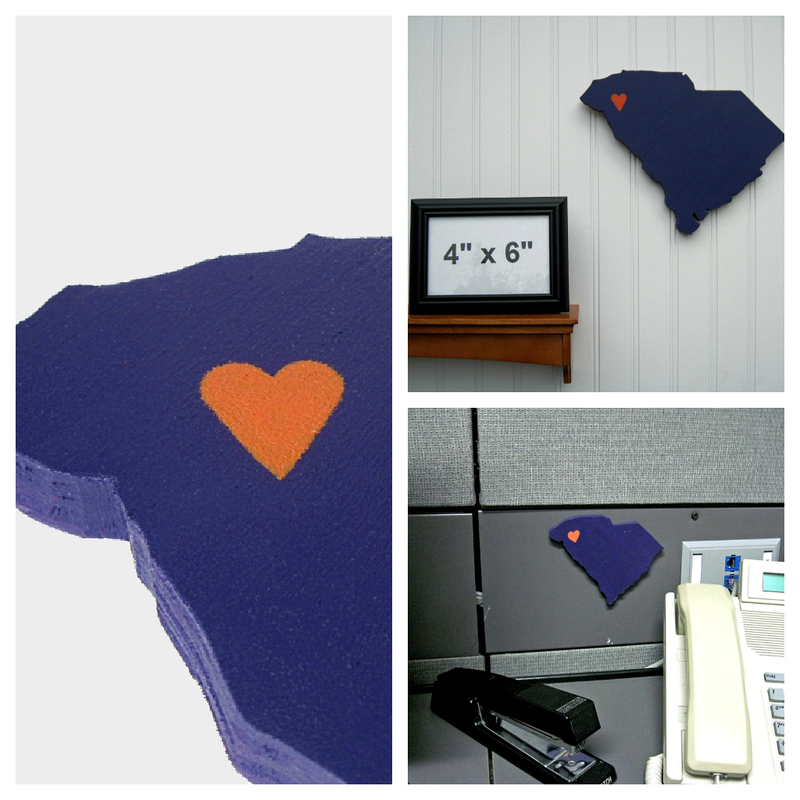 The "State Heart" measures 8” tall x 10 ½” wide at longest points and uses the official Clemson University colors. 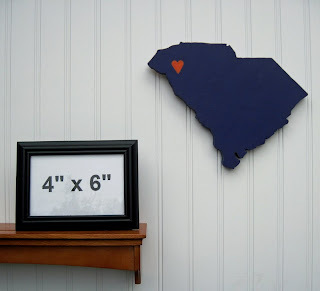 This lightweight, wooden state is a cool, subtle, decorative way to declare where your heart lies in South Carolina. Each state is cut from ¾” Aspen Pine plywood, sanded to shape, and hand painted. A metal sawtooth hanger is installed and the state is topped with an acrylic satin spray for added durability. It arrives to you ready to hang! The winner will also get a miniature version of the wall hanging state as a magnet. 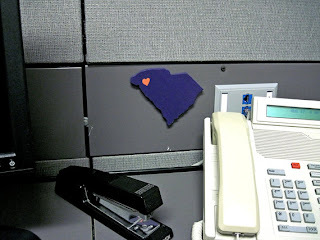 The "State Heart" magnet measures approximately 4” tall x 4 1/2" wide at longest points. Another fun way to show your Clemson allegiance at home, in your locker, at work on your cubicle, etc. a Rafflecopter giveaway Deadline for entries is midnight tonight! A winner will be drawn at random and contacted tomorrow, Thursday, Sept. 6th. The winner has 48 hours to contact us after the email is sent or we will draw a new winner. You can visit this post tomorrow to see who has won. Big, big thanks to very talented State Your Team for sponsoring today's giveaway!